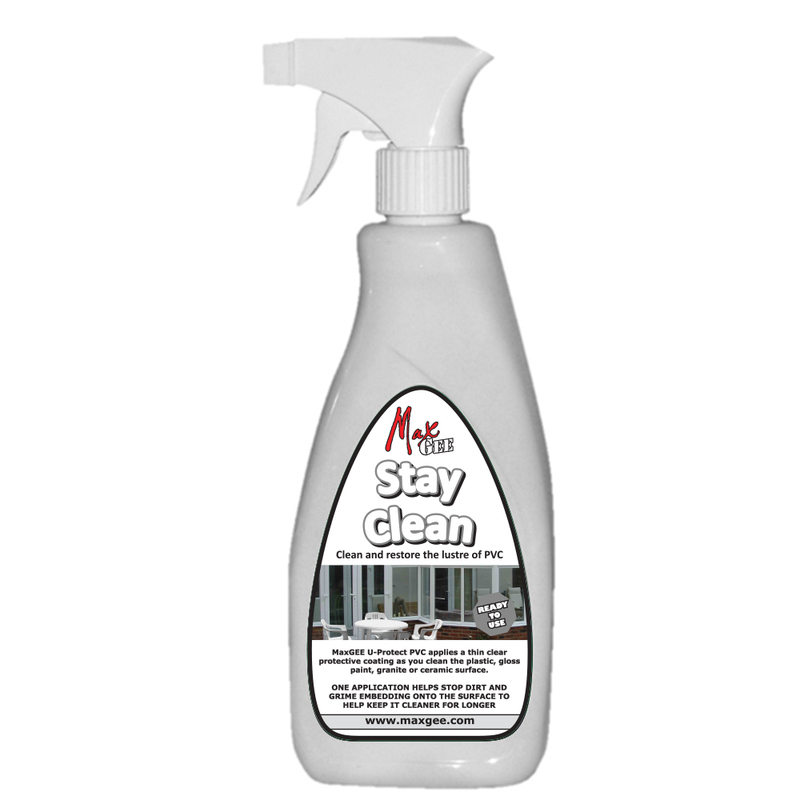 MaxGEE products are designed to make your life just that bit easier by cleaning and protecting your glass, uPVC and hard surfaces and keeping them looking much cleaner for much much longer without the usual high maintenance associated with these types of surfaces. Our products clean most types of hard surfaces and at the same time apply a durable protective coating to leave a smooth finish which will repel dirt and water to maintain cleanliness, clarity and beauty. 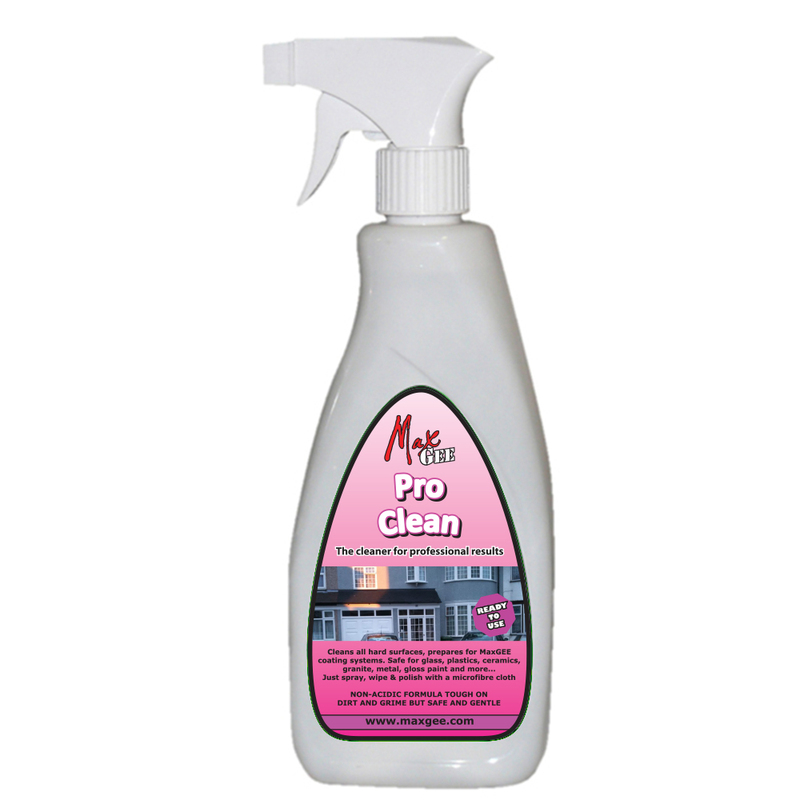 MaxGEE protective solutions mean you have to clean your surfaces far less. Depending on where the surface is, the protective layer can last for a long time but we would recommend that the surface is retreated every six months or so. You'll know when it needs doing as the MaxGEE effect will start to diminish. Simply clean and reapply as before. MaxGEE use only the very latest technology to ensure that the products always perform superbly and the consumers’ satisfaction is assured. Our research department have been working hard over the past 10 years or so and will always continually work to ensure only the best is available. The product is designed to efficiently clean the surface and apply an invisible and durable polymer coat, in one application, to protect the surface and repel dirt, grime and moisture from all sources. The protective coating will last for up to 6 months. 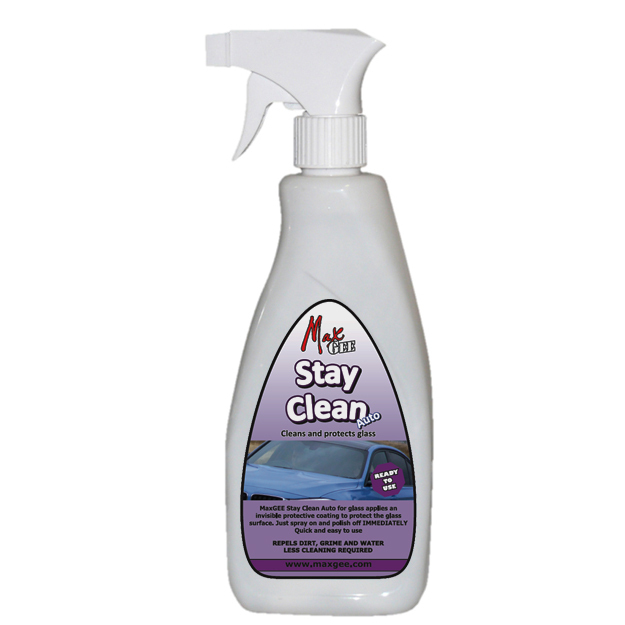 MaxGEE Stay Clean Glass for vehicles - Use on all glass surfaces including side & rear vehicle windows. Also on hard plastic surfaces such as polycarbonate roofing, shower screens, crash helmet visors etc. Maintains clarity, visibility and appearance at all times. Application will reduce cleaning frequency, time and effort. Treated glass surface will retain clarity and cleanliness longer because dirt & grime does not adhere to the surface. Even birdlime can be wiped away with very little effort and general dirt and grime can be simply wiped off without the need for strong and/or abrasive cleaners. 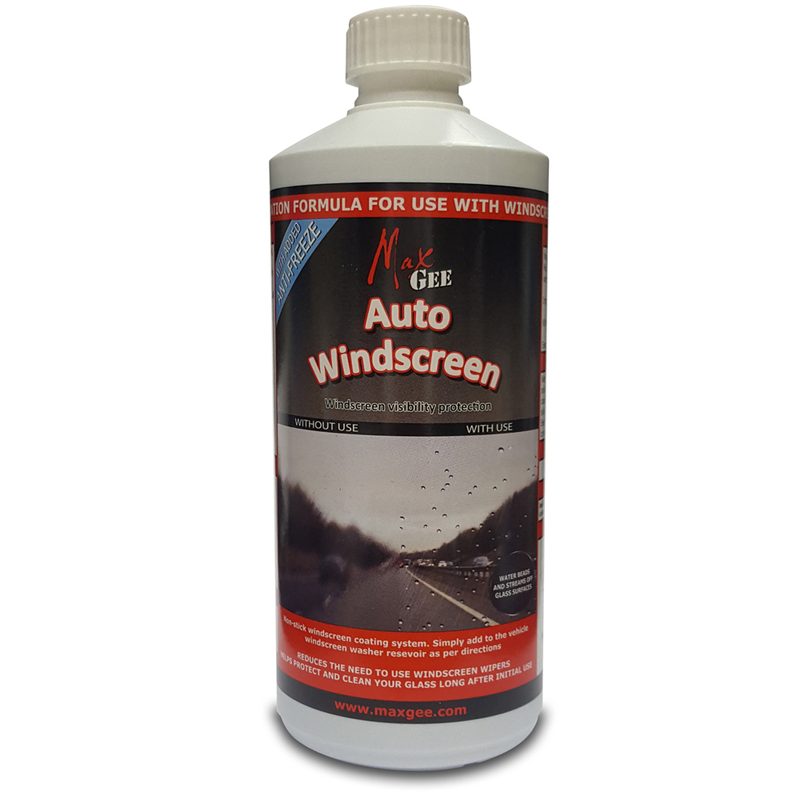 Best not to use in very high temperatures or in direct sunlight MaxGEE Stay Clean Glass for Glass is ready to use straight from the bottle. The product thoroughly cleans the surface and applies an invisible protective coat in one action. 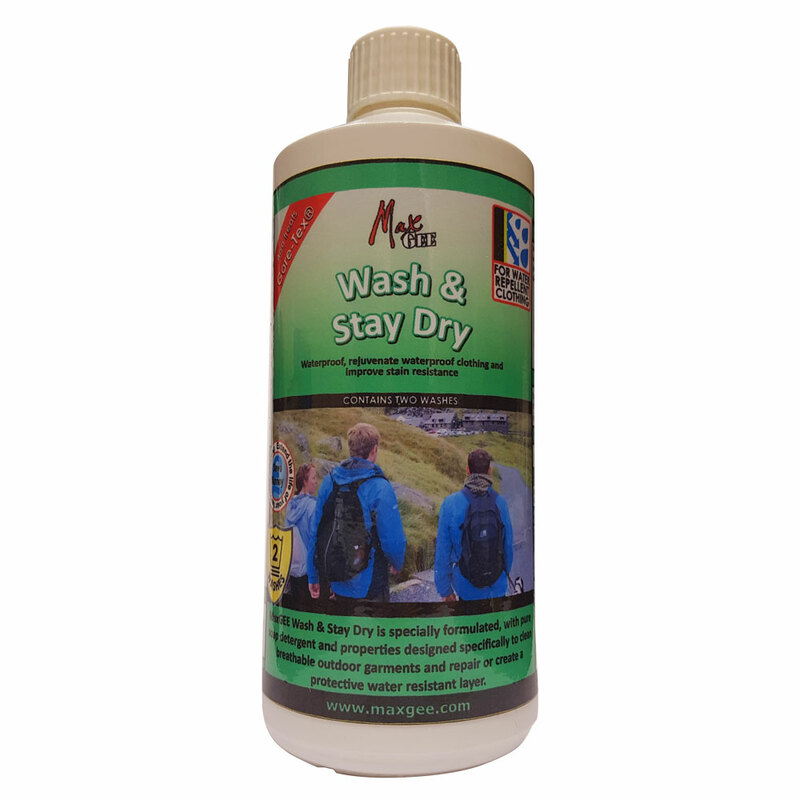 The protective coat is durable and very hard wearing and is guaranteed not to fade, crack or discolour. 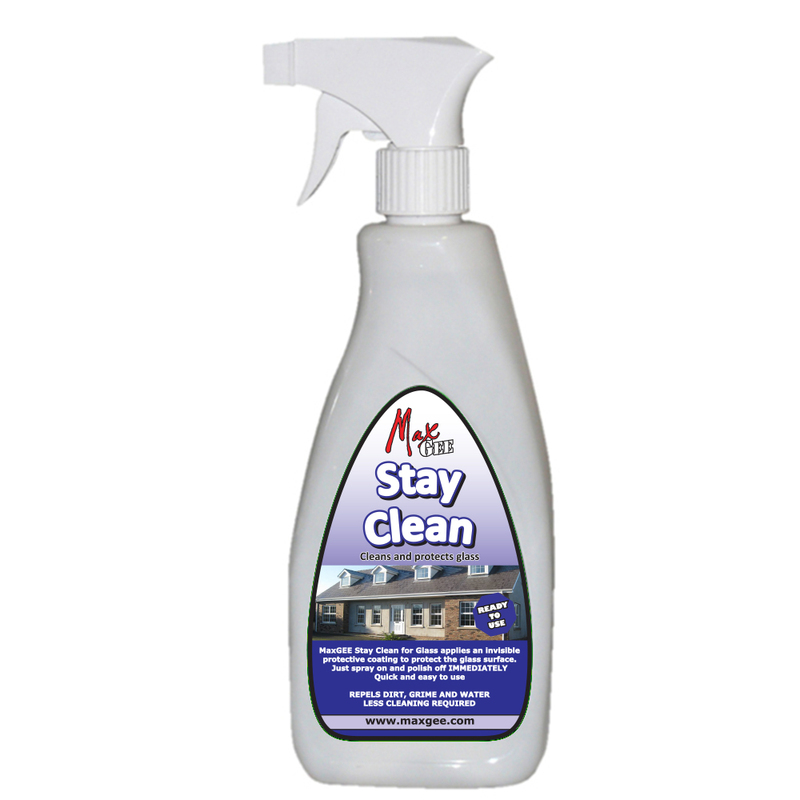 At first application clean off all heavy soiling such as industrial stains, birdlime, paint, scuffs etc with a good proprietary cleaner such as MaxGEE Stay Clean Glass and ensure that the surface is perfectly dry. Using the sprayer supplied spray the product evenly over the surface to be treated. Do ensure that immediately after spraying the product on you use a good quality paper towel to spread the product over the area being treated ensuring all corners are covered. Continue to wipe until the area begins to dry off. Then polish the treated area immediately until dry and clear using a clean paper towel. Recommended for use on:- PVC windows frames, barge boards, soffits and fascia boards, PVC conservatories, plastics baths and sinks, kitchen work tops and melamine cupboard fronts, plastic garden furniture and ornaments, caravan and boat bodies, gloss painted surfaces. 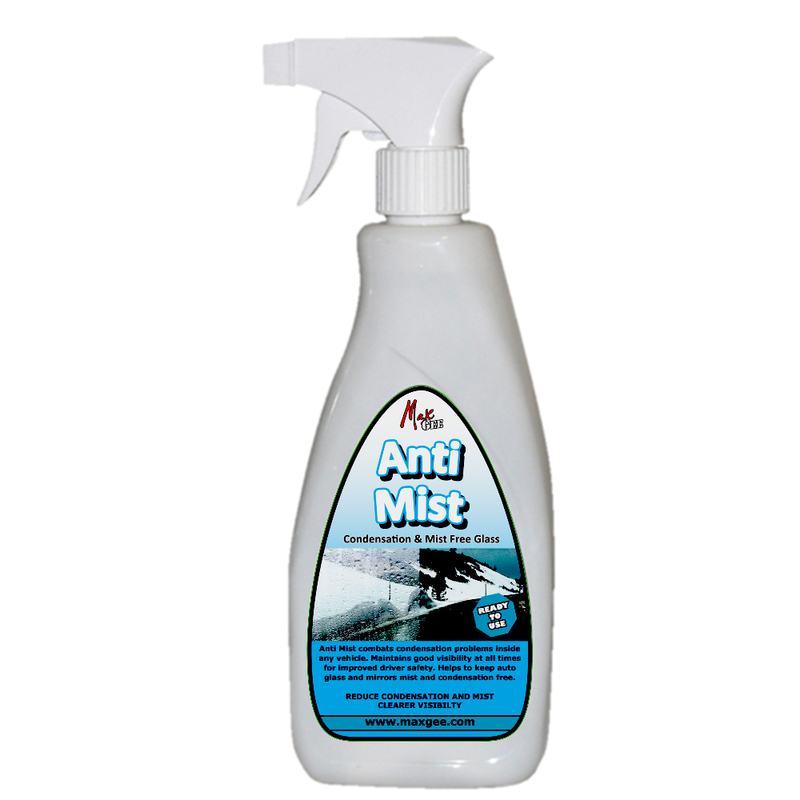 Protective coat repels moisture, dirt, grime and bird lime. Reduces the need for cleaning Saves time, effort and money. When beauty, appearance, lustre and colour is important. Keep your plastics looking newer for longer. More than just a plastic cleaner. 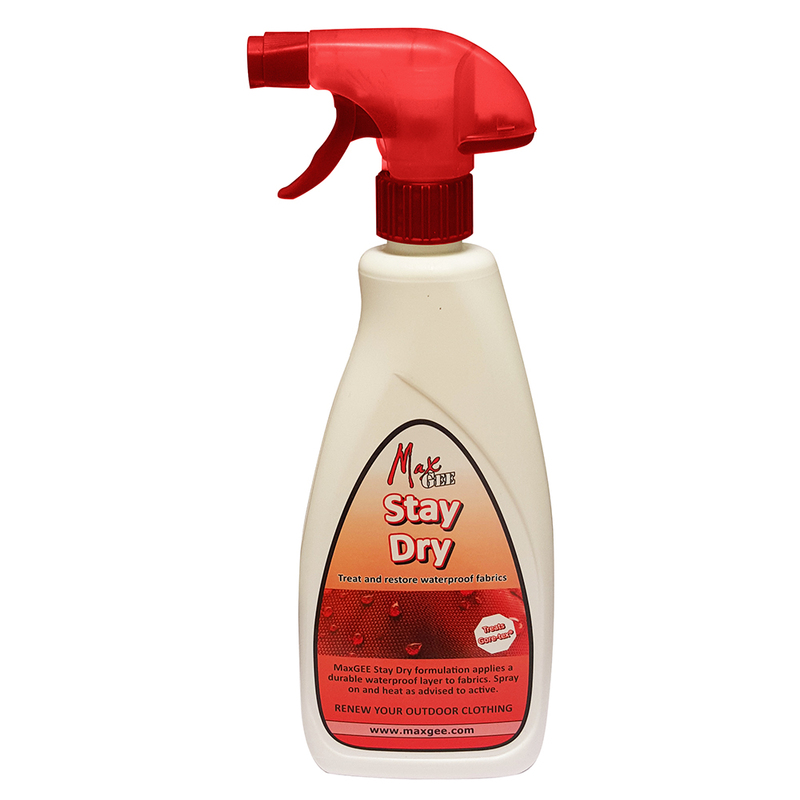 MaxGEE Wash & Stay Dry is formulated with pure soap to clean but also protect the invisible layer on the outer surface of breathable waterproof garments. This water repelling surface deteriorates over time through general use and washing with regular laundry detergents. MaxG Ltd, Unit G3 Kapital Building, Charter Street, Leicester, LE1 3UD.